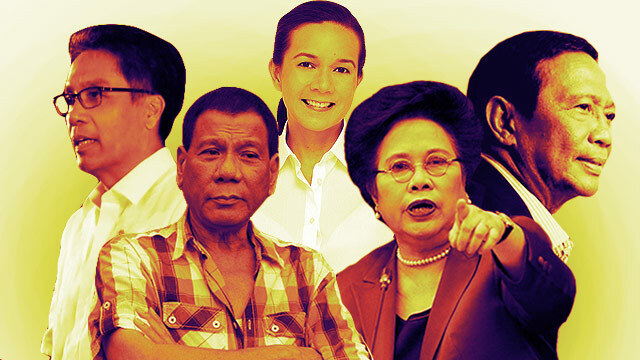 With just five days remaining before the voting public casts their votes, Davao City Mayor Rodrigo Duterte maintained the clear lead he established earlier this month in the latest Pulse Asia survey. The survey, commissioned by ABS-CBN, showed that Duterte’s previous approval rating was unchanged at 33 percent. 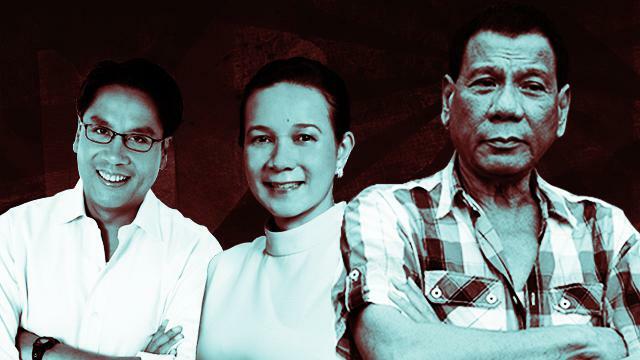 However, Senator Grace Poe and administration bet former Interior secretary Mar Roxas II, who previously placed second and third, respectively, swapped positions. The two were statistically tied due to the survey’s margin of error but Roxas was technically ahead with 22 percent while Poe was just a hair’s breadth away with 21 percent. This left Vice President Jejomar Binay, who was previously tied with Roxas, at solo third with 17 percent. Senator Miriam Defensor-Santiago remained at the bottom with two percent. Meanwhile, the six-way vice presidential race is getting more interesting, as Camarines Sur Rep. Leni Robredo has finally caught up to perennial survey leader Senator Bongbong Marcos Jr. The two are now statistically tied with Robredo gaining two percent from the previous survey to reach a 30 percent rating. Marcos slipped by three percent to a 28 percent rating. Tied at second were Senator Chiz Escudero and Senator Alan Peter Cayetano with 18 and 15 percent, respectively. 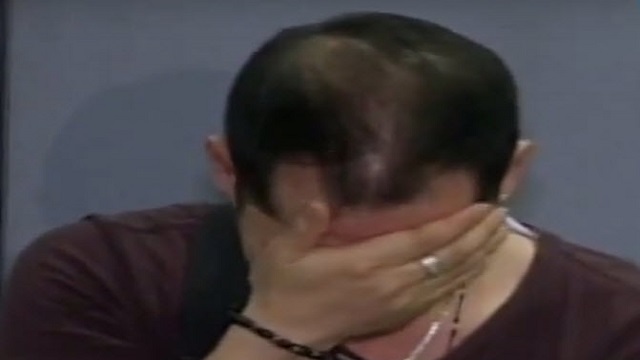 There wasn’t much movement with the numbers of Senator Antonio Trillanes IV and Senator Gringo Honasan’s, who both remained at dead last with three and two percent, respectively. The survey was conducted from the period of April 26 to 29 with 4,000 registered voters as respondents and a sampling margin of error of ±1.5 percent.